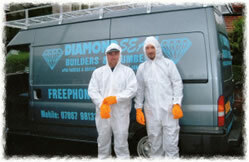 Welcome to Diamond Seal UK, your one-stop shop for all your building & maintenance work. We are based in Chorley near Bolton and supply-deliver and supply-fix throughout the Northwest of England and the UK. From your initial call we can visit you within 48 hours and provide a full quote within a week. Please note: Diamond Seal UK Ltd has no connection with any other company of a simiar trading name.